Exploring the Kimberley doesn’t have to cost a fortune. There are many ways to experience a relaxing holiday in Broome on a budget. By finding low cost accommodation and enjoying the many free activities on offer, the best Kimberley tours can be done on a budget. If you enjoy fishing you may be able to catch a few free meals, however you can also find many budget friendly places to dine throughout Broome. You will find many cafes and fish and chip shops around Chinatown and Cable Beach which are all reasonably priced. Many of the locals enjoy a relaxing picnic on Gantheaume Point Beach. Another great picnic spot popular with families is Town Beach. There are many shady places to sit and plenty of picnic tables and BBQs. The kids can also enjoy the water playground while you relax. Broome has many great places to fish and is a very popular low-cost activity in the area. You might even be lucky enough to catch your own free dinner. Of course, visiting the beach is one of the most obvious free activities while in Broome. Broome has many spectacular beaches to enjoy during your stay, such as the popular and famous Cable beach where you can enjoy the sunset, fishing and the camel trains. 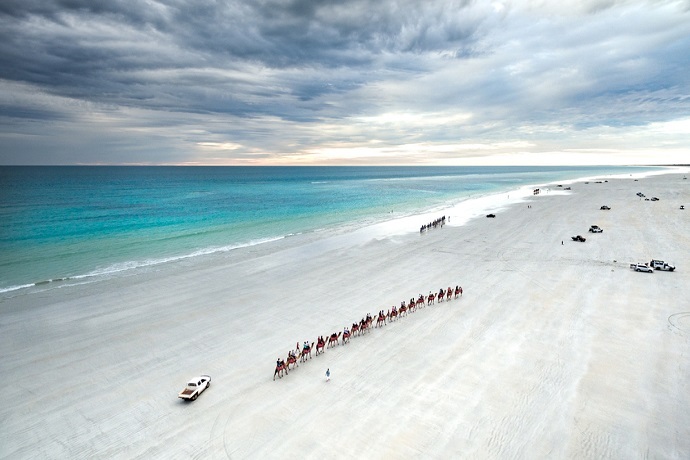 Besides Cable Beach, Broome has many other beautiful beaches to visit. Riddell Beach is only 8km out of town where you can witness amazing red cliffs contrasting against the turquoise ocean. And if you visit during low tide you may find dinosaur prints at nearby Gantheaume Point. The northern beaches are another perfect spot to explore for those looking to get away from it all. However, you will need a four-wheel drive to get there. You will find free camping areas here and excellent fishing spots. Other low-cost activities include the Markets where you can browse the handmade art, photography, fresh produce and much more. A walk-through Chinatown is a must where you can enjoy the unique blend of Asia-style and Colonial architecture. Finally, the Staircase to the Moon can be viewed between March and October when the moon rises above the tidal flats on Roebuck Bay creating a reflection which looks like a staircase to the moon. A popular amongst Broome tours, especially for first time visitors, is the Pearl Luggers tour. Be captivated by 150 years of history as you discover the unique maritime and pearling heritage of the area. Pearl Luggers is located in the heart of Chinatown and features a fully rigged and restored pearl lugger. 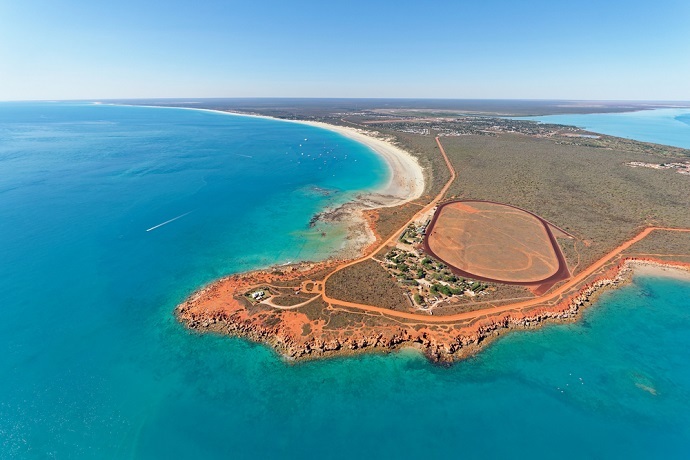 There are many accommodation choices in Broome for those on a budget. Backpacking is one of the lower cost options, however this is probably not suitable for families and older travellers. For those looking for a quieter option, there are a wide variety of camping and caravan sites in Broome to suit budget travellers. Preparing for your Kimberley holiday and planning ahead can potentially save a lot of money. There are many free and low-cost options to keep everyone entertained. Broome, Kimberley & Beyond can assist with booking your Broome day tours and further afield the best Kimberley tours. A family getaway doesn’t have to break the bank, the trick is to know how to make the most of your holiday budget.